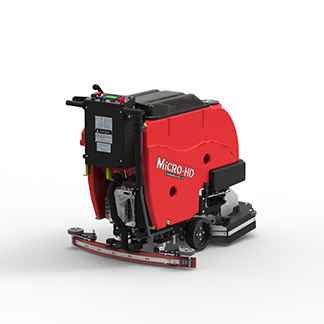 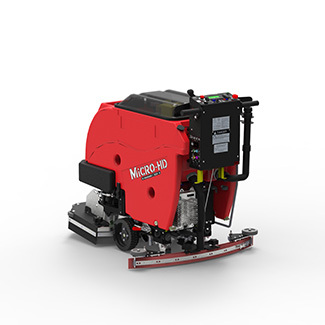 The Micro-HD is available in a disk or a dual-motor cylindrical version. 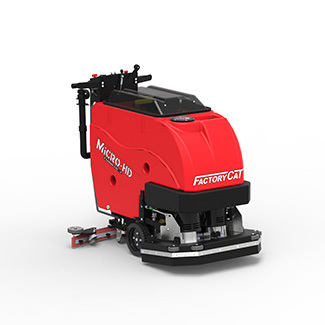 Disk scrub heads are popular in most applications where general cleaning is a concern. 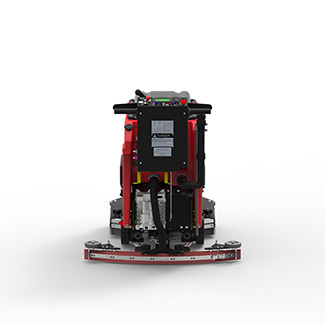 Cylindrical scrub heads are great when small debris is a concern as well as grouted tile lines. 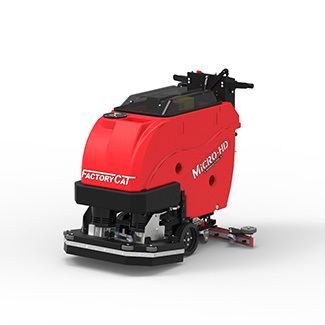 Factory Cat's MicroMini comes equipped with either a Brush-Assist drive which allows for operator ease with little-to-no pushing, or a Traction drive which includes a powerful all-gear transaxle for climbing ramps and max operator ease.